I offer coaching sessions to learn to practice mindfulness in daily life in order to see more clearly and live more intentionally: to know yourself more fully and treat yourself with kindness, in service of greater wellbeing. What exactly we focus on depends on you and your experience and desires. 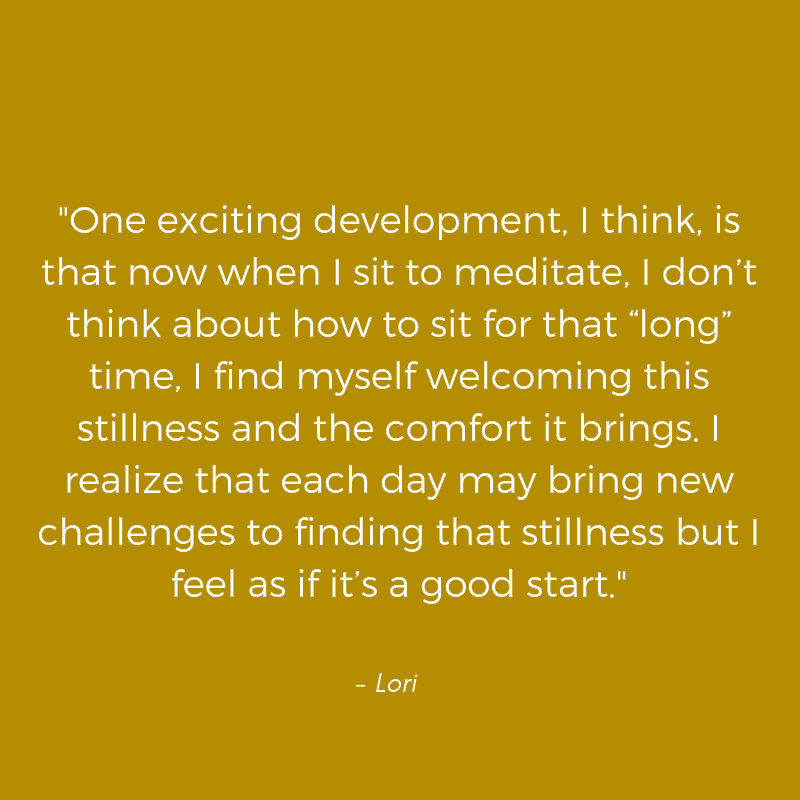 We start with a 30-minute free consultation to chat and see if coaching with me is a good fit, if so, we schedule 4, 6, or 8 weekly or bi-weekly sessions, either by phone, Facetime, or in person in Pacific Grove, California. What kinds of topics can be addressed in coaching? The approach, content, and intention of the coaching programs will vary with each person, because YOU are unique! Do any of these sound like you? "I keep hearing about mindfulness and meditation, but I don’t know where to start, and I'm wondering if it would actually be useful for me." "I struggle with stress, worry, and anxiety. I'm looking for help in dealing with these feelings because they're having a negative effect on me." "I feel like I'm stuck in the same old habits that aren't so healthy, and I need help out of my rut." "A lot of the time, I feel kind of bad about myself. I worry a lot about pleasing other people, and often it makes me unhappy." "Life feels scary right now because of a new job/a recent loss/an upcoming change. How do I face this with courage?" "I'm so grateful to have discovered Katie! 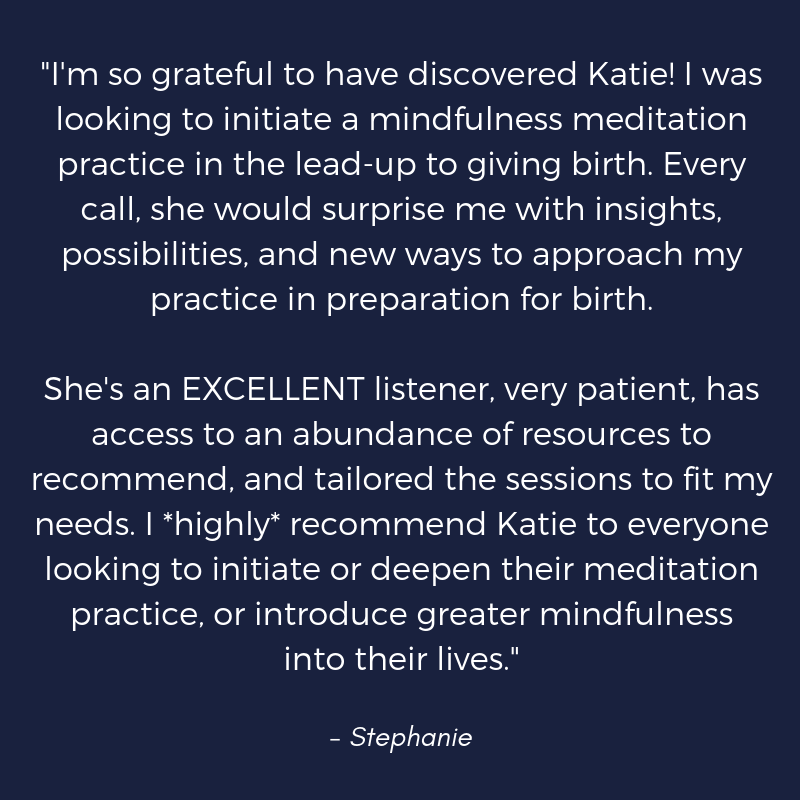 I was looking to initiate a mindfulness meditation practice in the lead up to giving birth, and worked with her over a period of 8 weeks, with 45-minute check-ins every other week. Before every call, I'd gather a few questions and notes from my practice, but still wondered if we'd have enough to talk about. And every call, she would surprise me with insights, possibilities, and new ways to approach my practice in preparation for birth. She's an EXCELLENT listener, very patient, has access to an abundance of resources to recommend (both her own and those of others), and tailored the sessions to fit my needs. 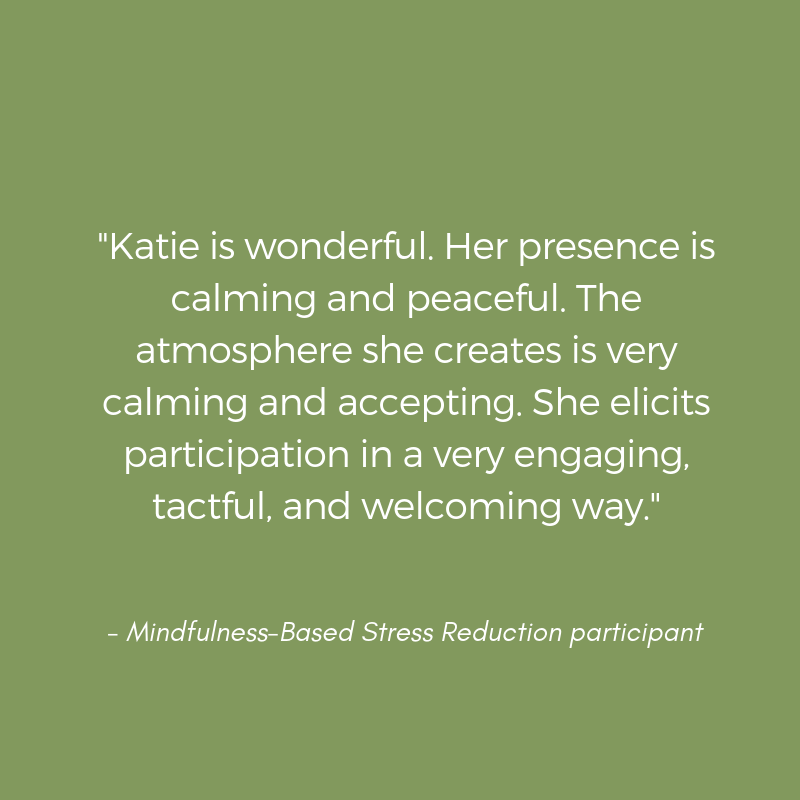 I *highly* recommend Katie to everyone looking to initiate or deepen their meditation practice, or introduce greater mindfulness into their lives." Katie, what do you love to talk about? Humor. Life is funny and we humans are pretty funny. We’ll talk about serious things, and we can be light, too. Hope. I know that change is possible, little by little, and I’ll hold that hope even when you may be feeling doubtful. Empathy, compassion, and inspiration. Anxiety, overwhelm, fear, and self-doubt are so familiar to me because I work with them in my own life daily. It isn’t just you, it’s me too… and this shared experience can be a source of comfort and strength. We’re in this together. Respect for you and your unique journey. What do you bring to this & what's your approach to coaching? I bring sensitivity, empathy, compassion, and a wish to serve. I also bring my self and my history, which includes grief, career change, and experience in working with my own anxiety, people-pleasing, and self-judgement. I’ve come a long way, and I am still in the midst of my own journey… in other words, I’m practicing what I’m teaching. 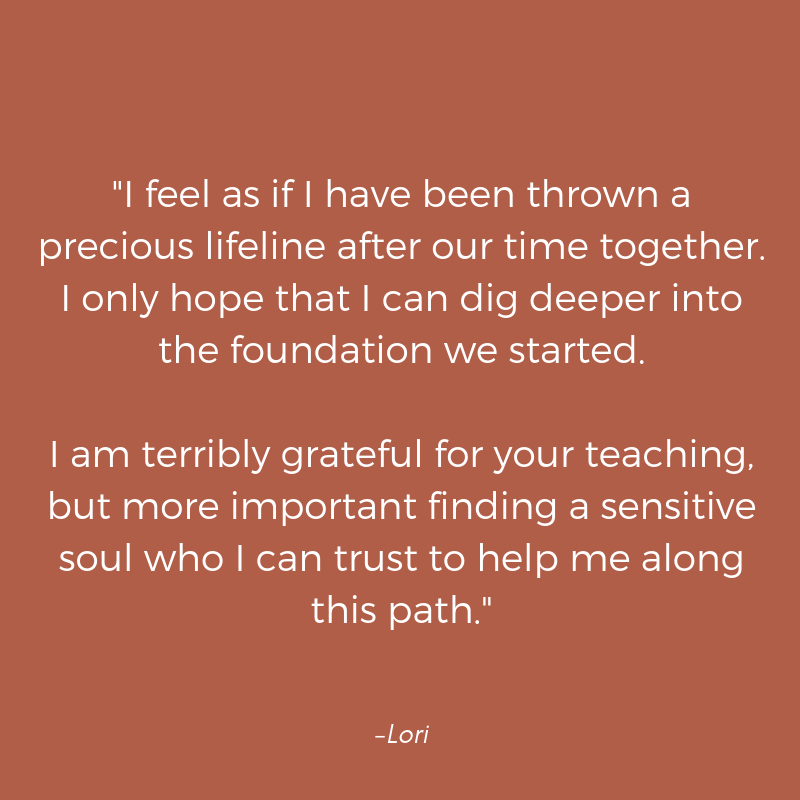 I believe that offering my own vulnerability and authenticity in coaching and teaching can help normalize emotions and thoughts that can feel so isolating. I have experience in teaching mindfulness to children, adolescents, and adults, and I know that while each person is different, there is so much that we share. 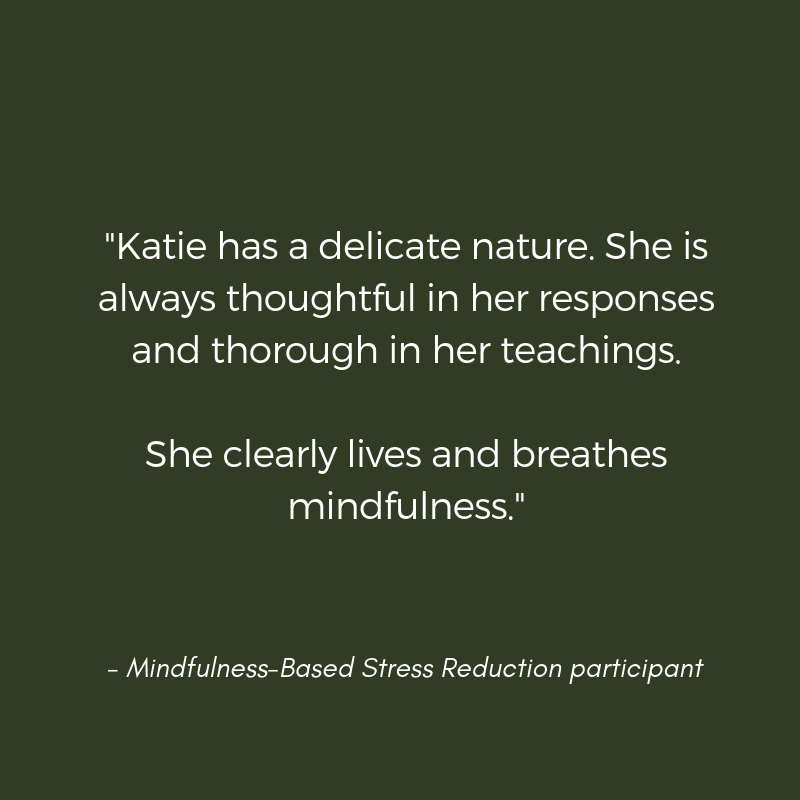 I am a Qualified Teacher of Mindfulness-Based Stress Reduction, and I’ve spent my adult life as a teacher. Some of my best tools are curiosity, openness, positivity, flexibility. What kinds of results can I expect? This is a question which doesn't exactly have an answer. :) A lot depends on what your intention is, how much time and attention you are willing and able to give to this process, and how ready you are for inner exploration. In addition, we as humans are so dynamic that we can't even begin to predict what will happen within and around us when we start to behave and react in new and different ways. You can expect, though, that if you put in time and energy, you will experience growth and transformation as a surprising gradual unfolding. My rates for coaching are on a sliding scale. If you pay at the highest level that you can afford, you'll enable me to provide coaching to others who need to pay less. Glad you asked! ;) You can fill out the form below, and I'll contact you shortly to set up our initial session. I look forward to working with you! You can add any additional comments, info, or questions here.